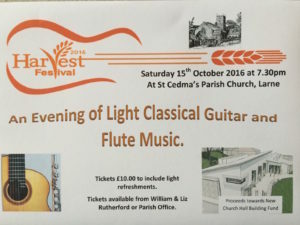 The next meeting of the Classical Guitar Society will take place on Sunday 2nd October, 3pm at the Ulster College of Music (13 Windsor Ave, Belfast). We will be upstairs in the Vanacek room. This month’s meeting will include a discussion by Keith Thompson on his practices and ideas on transcribing works for guitar. Also, Brian Keenan is running a classical guitar class for intermediate adults at 7.15 on Tuesday nights. If you are interested, more details here here. 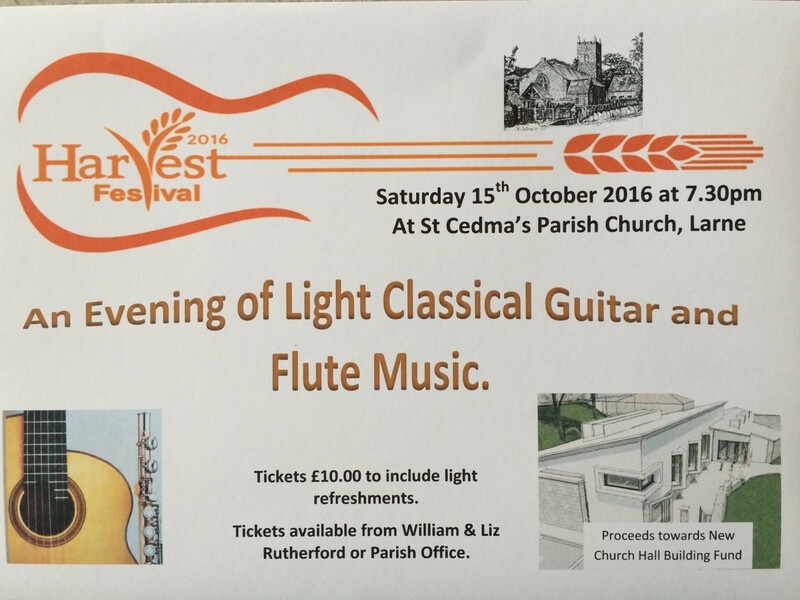 Finally, there will be a classical guitar and flute concert in Larne on 15th October. See attached poster for more details.